Rank: #58 out of 346. Windows 10 Professional brings back the Start Menu from Windows 7 and introduces new features, like the Edge Web browser that lets you markup Web pages on your screen. | 1-Year UpgradePro Limited Warranty* | View description and warranty section below for more details. Lenovo ThinkPad E580 is a very popular option in the middle of the laptops price range. It's in the top 3 bestselling laptops and has dozens of popular alternatives in the same price range, such as Microsoft Surface Book 2 or Asus VivoBook Max X541 . 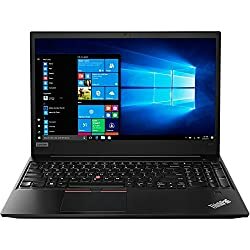 Lenovo ThinkPad E580 is $50.20 cheaper than the average laptop ($649.90).